A bowed string instrument, the fiddle is central to the sound, culture, and history of Cajun music. 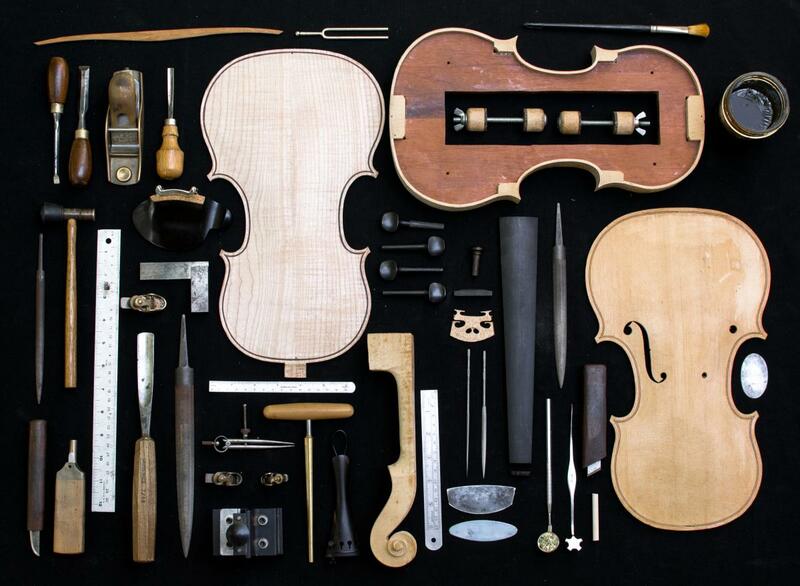 The history of the fiddle, an instrument more or less synonymous with the classical violin, is rooted in early 16th-century Western Europe, where it derived from the medieval, bowed string Byzantine lira. 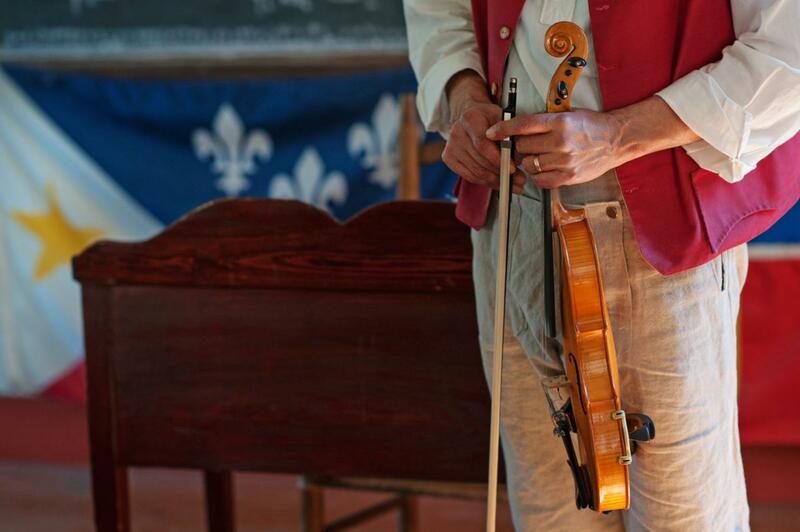 Early French settlers brought the fiddle, alongside other stringed instruments like the vielle and rebec, to the Acadia colony of French Canada in the early 1600s. Beginning in 1764, their descendants bought knowledge of the instrument — if not the actual instrument itself — to their new home in Southwest Louisiana. Little is known about the fiddle in Acadiana until the early 20th century and the advent of recorded Cajun music. Dennis McGee, of Eunice, Louisiana, became the earliest of Cajun fiddler greats, first performing in the old French two-fiddle style alongside Sady Courville and Ernest Frugé (the lead fiddler would play a song’s melody on the higher strings, while the second fiddler focused on playing rhythm on the instrument’s two lowest strings). McGee changed his fiddling style when recording with the pioneering black Creole accordionist Amédé Ardoin in the late 1920s and early 1930s, playing melody and rhythm simultaneously. McGee played two-steps and waltzes — two dance song styles certainly familiar to any Cajun music listener — but also jigs, contradances, cotillions, mazurkas, and many other continental dances. As American popular music trends shifted from decade to decade, so did the Cajun fiddle, following the dictates of string orchestras, country & western, blues, and bluegrass. In 1928, one year before McGee recorded his first sides, Leo Soileau of Ville Platte became the first Cajun fiddler to put songs to wax. Soileau’s career would build throughout the 1930s and 40s as leader of his country-influenced band the Three Aces (later renamed the Four Aces). Growing up in Port Arthur, Texas, but born in Acadiana, Harry Choates melded the Cajun fiddle with Texas swing to become the first regional, and arguably national, fiddling superstar. Nicknamed the “Fiddle King of Cajun Swing” and the “Godfather of Cajun Music,” Choates’s “Jole Blon” became a top-10 Billboard hit in 1946. Because of its prominence throughout Acadiana, the fiddle has also attracted the attention of black Creole musicians. Canray Fontenot easily ranks as the most notable Creole fiddler. As a teenager, he played alongside Amédé Ardoin, and later built a long-lasting performance and recording partnership with Alphonse “Bois Sec” Ardoin. Fontenot’s style was more funky, raggedy than his Cajun counterparts, and has influenced later Creole fiddlers, including Calvin Carrière, nicknamed the “King of Zydeco Fiddle,” Carlton Frank, and, more recently, Cedric Watson. The roll call of Cajun fiddlers who have contributed to not just the music history of Louisiana but of the world is extensive. Just a few of the most noteworthy include Doc “King of the Cajun Fiddlers” Guidry, Luderin Darbone, Al Berard, Hadley Castille, Doug Kershaw, brothers Dewey and Will Balfa, Michael Doucet, Joel Savoy, and Louis Michot.